Debra Sweet, World Can’t Wait Director, will receive the 2012 American Humanist Association’s (AHA) Humanist Heroine Award. The award will be presented at the AHA national conference on June 9 in New Orleans and is a joint presentation of the AHA and its Feminist Caucus. Since 1982, this award is given annually to women who promote and advance the ideals of human rights and gender justice using a non-theological approach. Past awardees have included Judy Norsigian, Robin Morgan, Julia Sweeney and Amy Goodman. Debra Sweet helped establish and continues to lead World Can’t Wait in its mission to “stop the crimes of our government,” including unjust military occupations, covert drone wars, torture and indefinite detention as well as reversing the fascist direction of U.S. society. She has worked with abortion providers for thirty years, organizing community support and helping them withstand anti-abortion violence. Since the age of 19, when she confronted Richard Nixon during a face-to-face meeting and told him to stop the war in Vietnam, Debra has been a leader in the opposition to U.S. wars and military occupations. 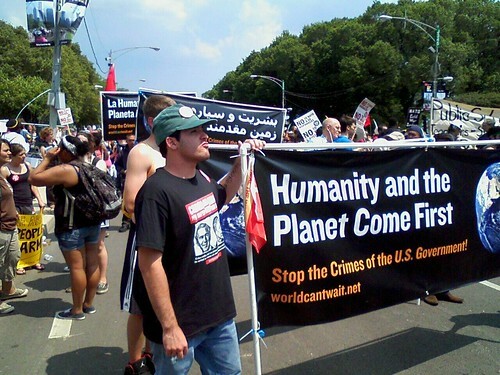 Sweet will be leading World Can’t Wait’s efforts in protesting NATO’s meeting in Chicago, May 20-21, where the U.S. and its military allies will discuss the continuation of US/NATO presence in Afghanistan until 2024. FOR MORE INFORMATION about The American Humanist Association, contact: Brian Magee, (202) 238-9088 extension 105, Mobile: (202) 681-2425. FOR MORE INFORMATION about Freedom from Religion Foundation, contact: Annie Laurie Gaylor (608) 256-8900.